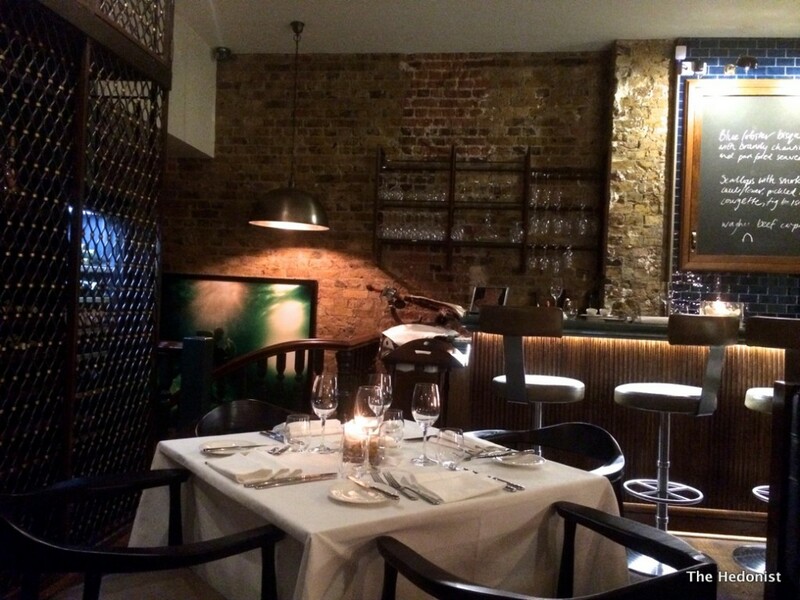 Marylebone has become something of a hot destination recently with openings such as The Chiltern Firehouse and Fischer’s adding to what was already a burgeoning scene. So with all this activity Fiona and I were pleased to be invited to review The Cavendish which is an all-day kind of place, with the restaurant (there’s a ground floor bar as well) replacing a fairly average Italian called The Fat of The Land, which I reviewed a couple of years ago. The chef. 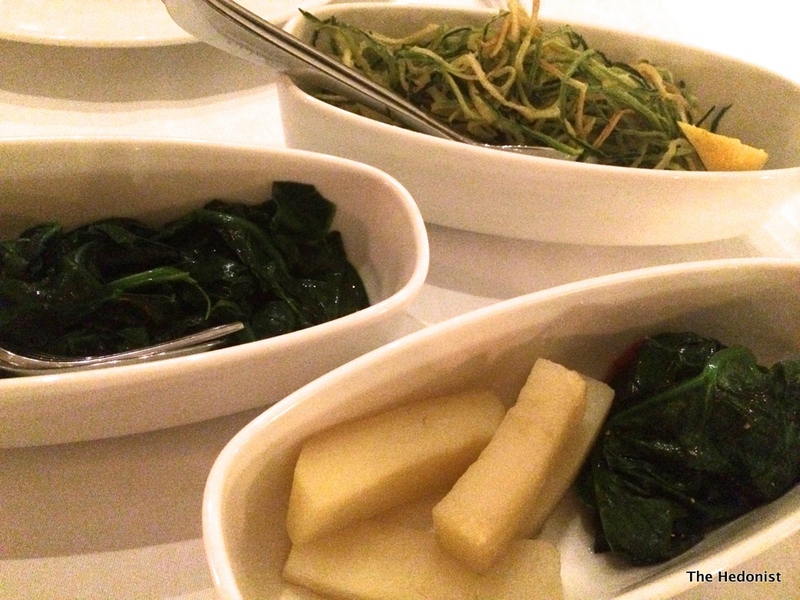 Alfonso Lillo Fas, trained at El Bulli, but the food offer at The Cavendish is a selection of classic French, Italian and Spanish dishes rather than modernist flights of fancy, which should please the conservative Marylebone crowd. With an interior that is a fusion between a masculine 1940s feel and contemporary Soho, The Cavendish feels warm and comfortable without being overly stylised. But it’s the food that we have really come for. 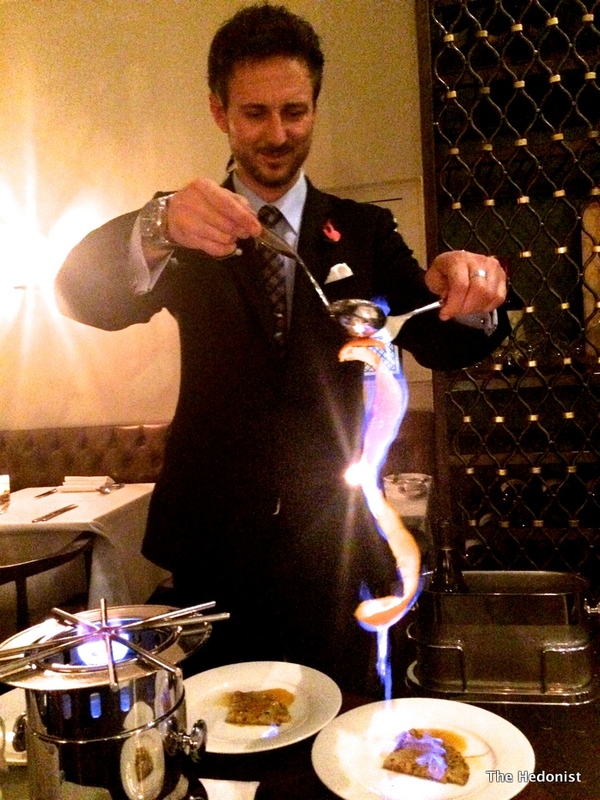 Our amuse-bouche was a confit of octopus, with a smoked cauliflower purée and garlic and watercress emulsions. 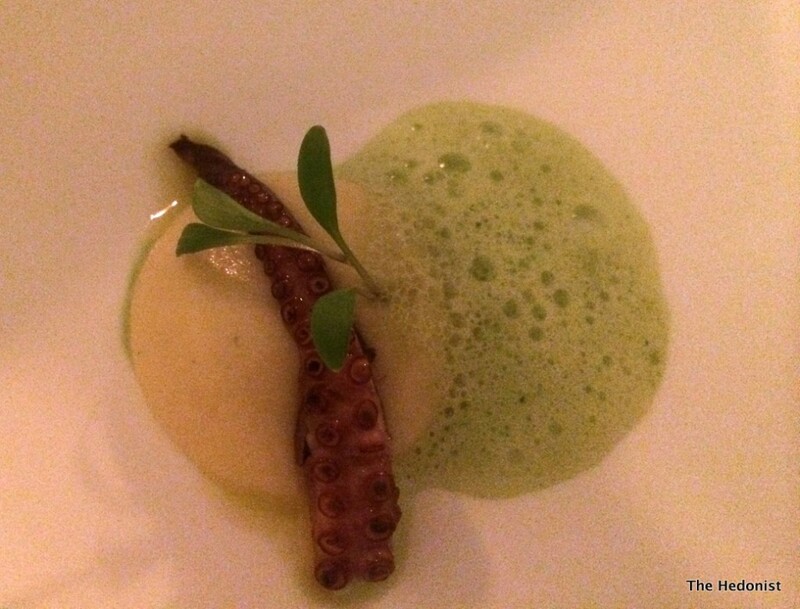 The octopus was very tender and full of flavour and the purée and emulsions surprisingly gutsy. 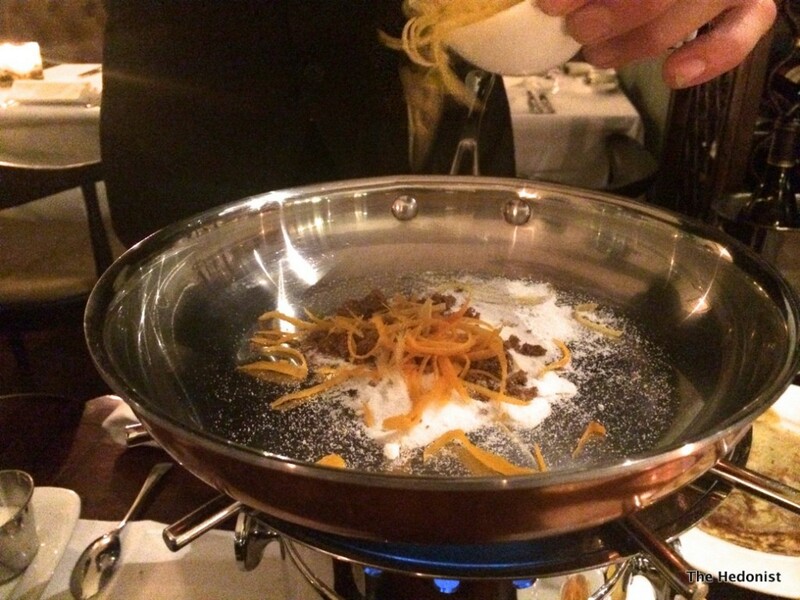 The only problem with this dish was….the dish. It was a deep bowl which made getting the food out without a spoon unnecessarily difficult! For our starters we ordered a glass each S V Dillons Point Sauvignon Blanc (£7.50 for 125 ml). It was full-bodied with delicious notes fresh lemon and elderflower and was a great way to start the meal. 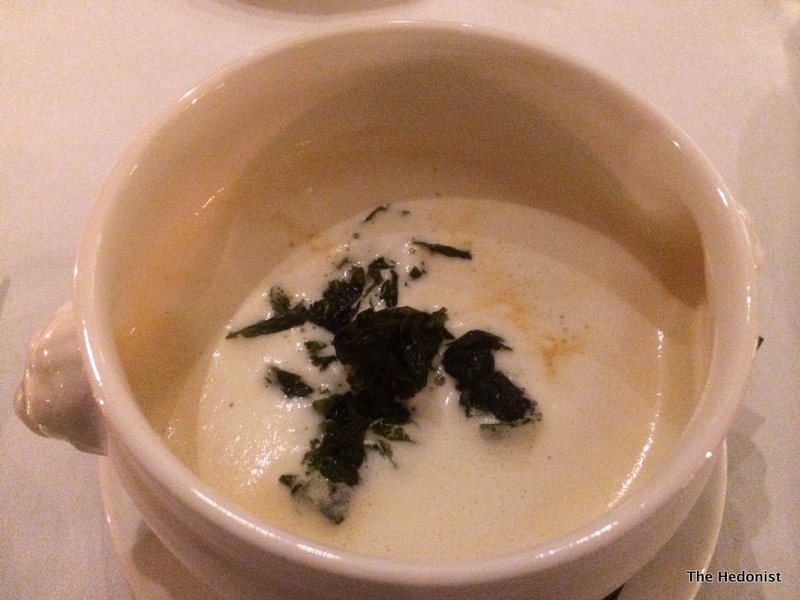 Blue Lobster Bisque with brandy Chantilly and pan-fried seaweed (£13.75) was beautifully balanced and delicate. 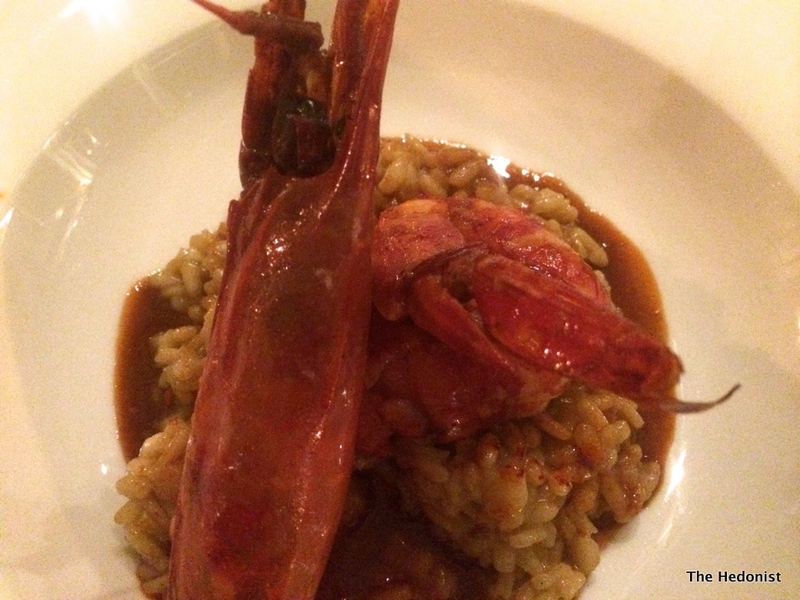 Carabinero Prawn risotto in a light bisque broth (£16.50) tasted properly fishy with a great depth of flavour and the rice suitably al dente-I loved this dish. 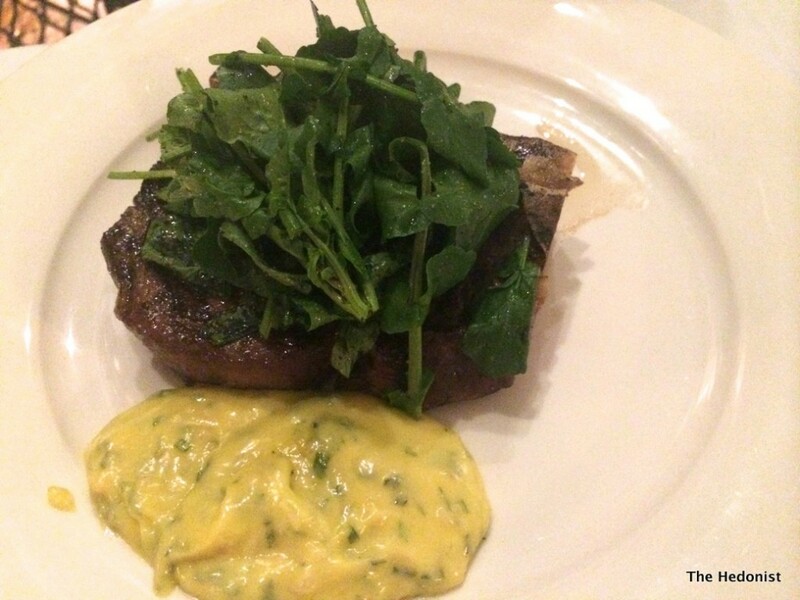 Fiona’s fillet steak with watercress and Béarnaise sauce (£28) was not fatty and had a terrific flavour and was well matched by the fruit and tobacco flavours of her glass of Medalla Real Cabernet Sauvignon, Chile, 2013 (£7.50 for 125ml). 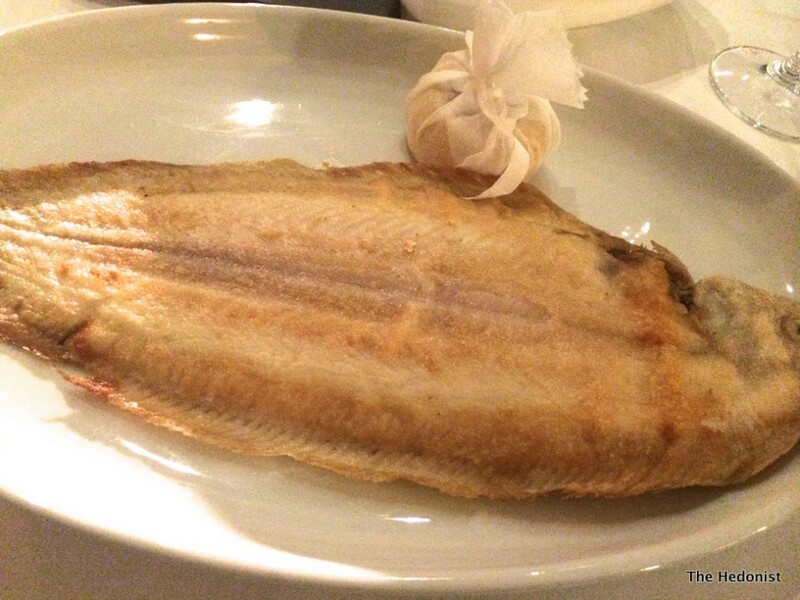 My glass of Buitenverwachting, Constantia, South Africa, Chardonnay 2013 (£6.50) was too oaky for me but I loved my pan-fried Dover sole with Desiree potatoes, spinach and a lemon and saffron sauce (£25). It was simply cooked but had great flavour and a lovely gentle buttery sauce. Sided are £5 each and we really enjoyed the Zucchine Fritte. It was unusual to have them shredded like this and a great idea. Every show need its climax and at The Cavendish that is provided by the Crepes Suzettes (£18 for 2). It’s such a wonderfully old fashioned dish and I always order it if it’s on a menu. 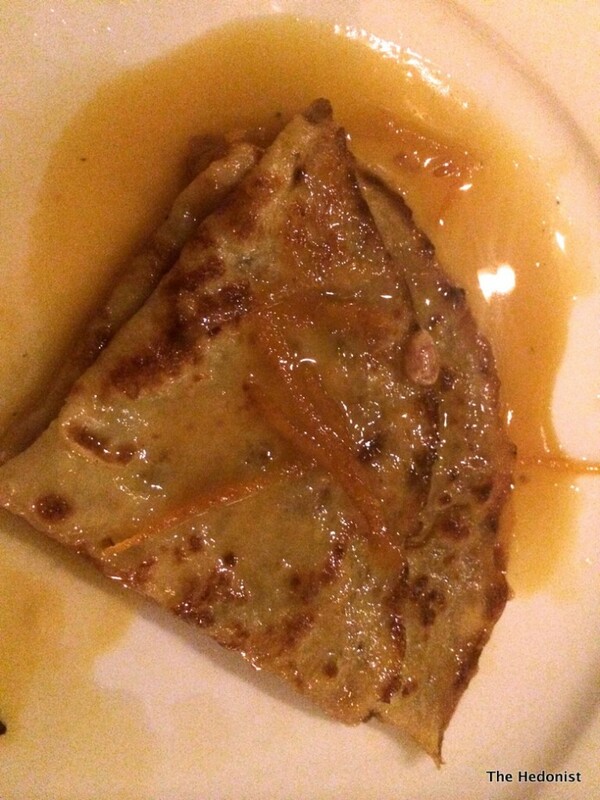 Once the orange peel is caramelised, the pancakes and unusually a blend of Cointreau and Benedictine are added. The final coup de theatre is the scraping of the orange peel, which has been liberally doused in the booze and then set alight. I am a sucker for this stuff..
…and finally, voilà, all washed down with a deliciously apricoty Sauternes la Fleur de Ore (£12 for 125ml). I really enjoyed my dinner at The Cavendish. 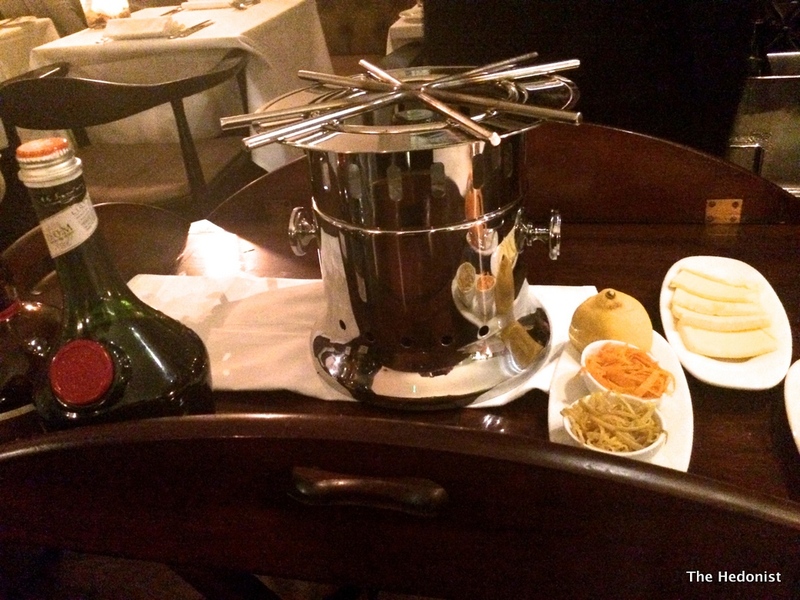 It was rather like being in a well-heeled private club with suitably old fashioned service. It was full when we went in the pre-opening week and everything was already up to speed which often isn’t the case. For a younger crowd used to designer hotdogs and bespoke noodle joints this kind of classic experience may feel mildly exotic but for those of us of a certain age it was reassuringly familiar and I’m sure it will be a big hit with the locals.